There’s a staggering number of websites out there. At last count, there were just about 1 billion (yes, 1 billion) active websites in existence. When you put together all the online content with print (newspapers, ads, magazines, pamphlets, etc. ), that sure does make for a whole lot of copy — copy that needs to (or at least should) be proofread before it goes live or to print. It’s no wonder then that becoming an online proofreader is one of the most popular ways for people to earn a living online. If you’re an avid reader, chances are you’d make a great proofreader. This is especially true if you find you easily catch errors when reading — things that most people tend to not even notice. The average person confuses editing and proofreading. In reality, they’re two very different (yet equally important) stages of the writing process. Editing happens before proofreading. It’s big-picture stuff like restructuring, deleting huge chunks of text if needed, and generally making sure that copy flows well and reads as it’s intended to be read. Proofreading, on the other hand, is the final stage of writing. It’s when you meticulously go over content with a fine-tooth comb looking for spelling, grammar, and punctuation errors. Proofreading helps turn a final draft into a perfectly polished, ready-to-go-live draft. If you think you’ve got the chops to launch a proofreading career, make sure you grab a copy of The Ultimate Guide to Proofreading! It’s a must-read for anyone wanting to turn their proofreading skills into a profitable business. Most people believe you need an English degree to be a successful proofreader. But this isn’t always the case. If you decide to contract as a proofreader with any number of companies, one of the requirements may be a degree. Heck, some of them require advanced degrees before they’ll even consider you. If you’re sitting there thinking, “Great. I don’t have a degree. I can’t make it as a proofreader,” well I’m here to tell you to think again. There are a number of different ways to become a successful proofreader. Yes, some of them require a degree. But many others (which we’ll discuss) do not. Before diving in, head on over to the Complete Beginner’s Guide to Proofreading Jobs Online. This is about as comprehensive as it gets when it comes to starting a career as a proofreader even if you have no experience. 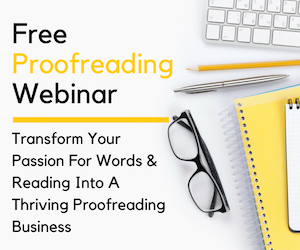 You’ll learn what it takes to become a proofreader, who uses proofreaders, and what you can expect if you decide to launch your own proofreading business. No problem! I keep a running list of companies that regularly hire proofreaders and editors (currently at 16). If you’re more comfortable working as a contractor with a proofreading/editing company, this is the list for you. Keep in mind, they each have their own sets of requirements and many of them require you to pass a proofreading test before they’ll consider bringing you on board. That’s the spirit! I’ve been known to take on a proofreading gig from time to time. Where do I find these gigs? Upwork. If you’re not a member of Upwork, you definitely should be. It’s the largest freelance marketplace that brings together clients and amazingly talented freelancers. It’s free to join and apply to gigs each month. Upwork does, however, take a 10% cut of your earnings. There are thousands upon thousands of gigs posted on Upwork, some of which are proofreading jobs. I’ve created the Ultimate Guide to Upwork Success to help beginners (and established) freelancers find success on the world’s largest freelance marketplace. This includes everything from setting up a rockstar profile to submitting proposals that land you gigs. Keep in mind, it can take some time to get established on Upwork. However, with a little patience, you’ll find that there’s an endless supply of gigs to be had if you put your best foot forward and don’t give up. 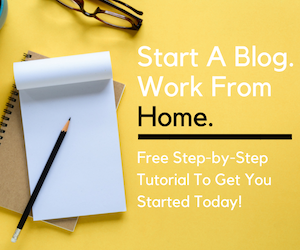 So, you’ve got a solopreneur spirit and want to launch your own proofreading business? That’s great! The perfect place for you is Proofread Anywhere. 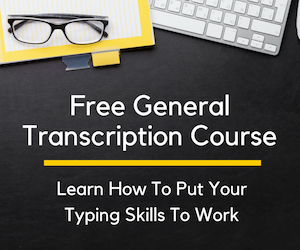 In addition to being a great source for new proofreaders, it’s the only course of its kind that will teach you how to become a transcript proofreader for court reporters. To give you an idea of what to expect and to help determine if this is the right career for you, you can take the free 7-day intro course. Proofread Anywhere is a great starting point if you’re on the fence about pursuing a proofreading career. These titles (and many more) are available to read for free when you sign up for a trial of Kindle Unlimited. This page contains affiliate links. Please see my disclosure statement for more information.